Money for Life is delivered by Youth Cymru in partnership with UK Youth and The Mix. The project is funded by Lloyds Banking Group to inspire a generation to make the most of their money. Youth Cymru are looking for organisations around Wales to be a Money For Life Hub. Each hub could receive up to £2,500. In order to be a Money for Life Hub and to receive your first payment Youth Cymru would need to train 2 Youth Workers from each hub who will then train 6 Champions age between 14-25. Join thousands of young people across the UK in our Money Masterclasses – giving 14-25 year olds practical money skills to feel cash confident. The Champions will co-design and deliver, alongside youth workers to 120 young people by the end of December 2017. 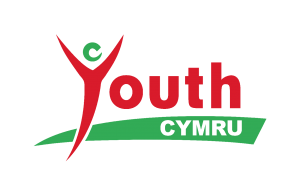 Please contact wenna@youthcymru.org.uk us if you feel you cannot reach 120 young people, we might have options. The Money For Life website, where young people can find expert money advice, online training and supportive forums. Face-to-face peer education training to provide practical Money Masterclasses to young people across the UK. An innovative app, Pennies to Pounds, helping young people create a savings goal and reach it with motivational money saving tips and support. 24/7 helpline and 1-2-1 webchat providing support and signposting to young people who may find themselves in financial crisis. Find out more by visiting moneyforlife.org.uk or by following @MoneyForLifeUK on Facebook, Twitter and Instagram.